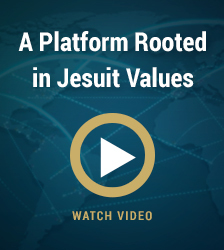 Interested in becoming a member of the Global Jesuit Case Series Editorial Board? The Editorial Board is comprised of professionals who work together to evaluate and review the various case studies submitted to the Peer-Review Board. These members of the GJCS editorial staff will aid in cultivating the roots of this program, the case studies, and aid in formulating an invaluable resource that will aid students, professionals, educators, and researchers for generations to come. For more information about applying for a position on the GJCS Editorial Board please contact thegjcs [at] lemoyne.edu.